Volvo V90 Cross Country Interior, Sat Nav, Dashboard | What Car? As the driver, you’re treated well no matter what shape you are. Volvo’s seats are famous for their supportiveness, and the Cross Country’s driver's seat is no different. The wide range of electrical adjustment, including for lumbar support, also makes it easy to tweak and get settled. 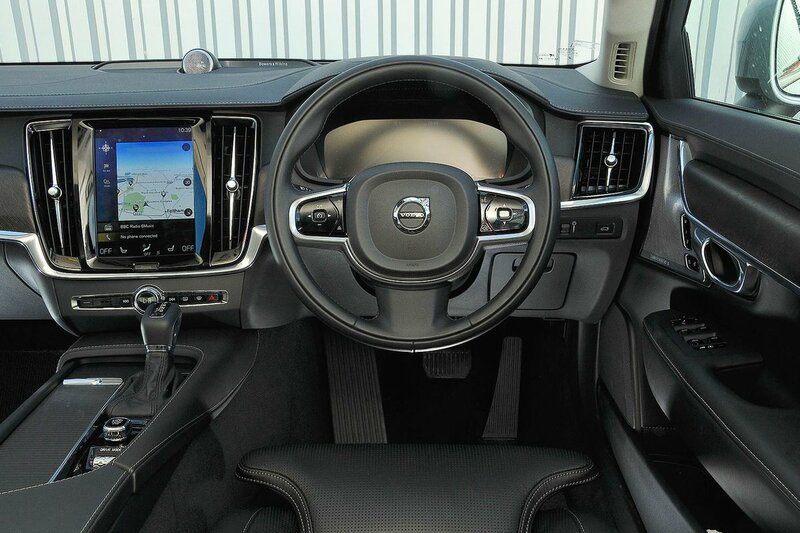 All V90s are automatics and the two pedals this leaves you are nicely aligned with the driver’s seat, keeping you relaxed and comfortable on a long trip. Forward visibility is good, but unlike the boxy Volvo estates of old, the Cross Country has a heavily styled rear end, which means the view rearwards past those rakish back pillars is a little restricted. 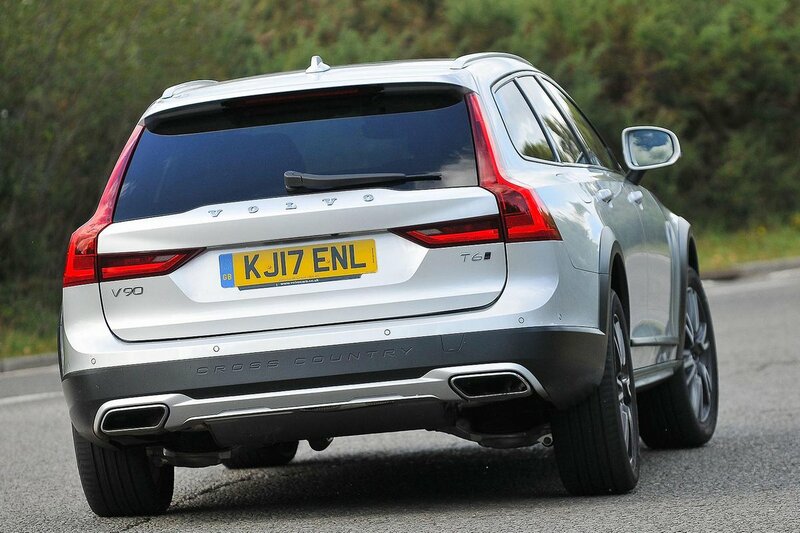 At least rear parking sensors come as standard, with front sensors and a rear-view camera on the options list. The V90's Sensus infotainment system features a 9.0in portrait touchscreen through which you control many of the car's gizmos. At times, it’s unresponsive and hard to find what you want within the vast array of menus and functions. Trying to press some of the smaller icons while driving is pretty tricky as well. We much prefer a rotary dial-controlled interface, such as those fitted to the E-Class All-Terrain and Audi A6 Allroad, which are far less distracting to operate on the go. 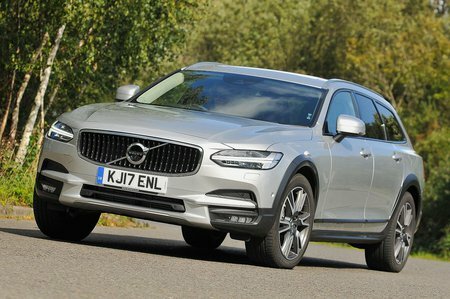 Aside from a black walnut trim and leather-clad dashboard, the cabin is virtually identical to the standard V90's – no bad thing. Every surface feels impeccably constructed, while the minimalist design looks fresh and modern.